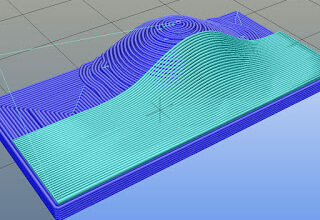 « High quality P3-d Nozzles available. MK8 and E3d as well heavy duty for Carbon filled filament. 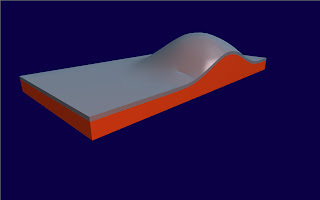 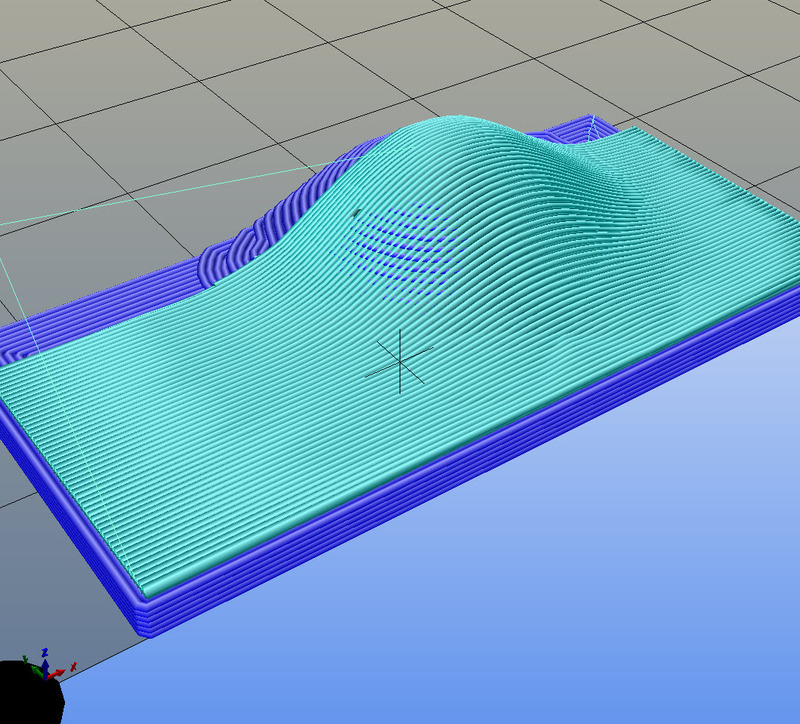 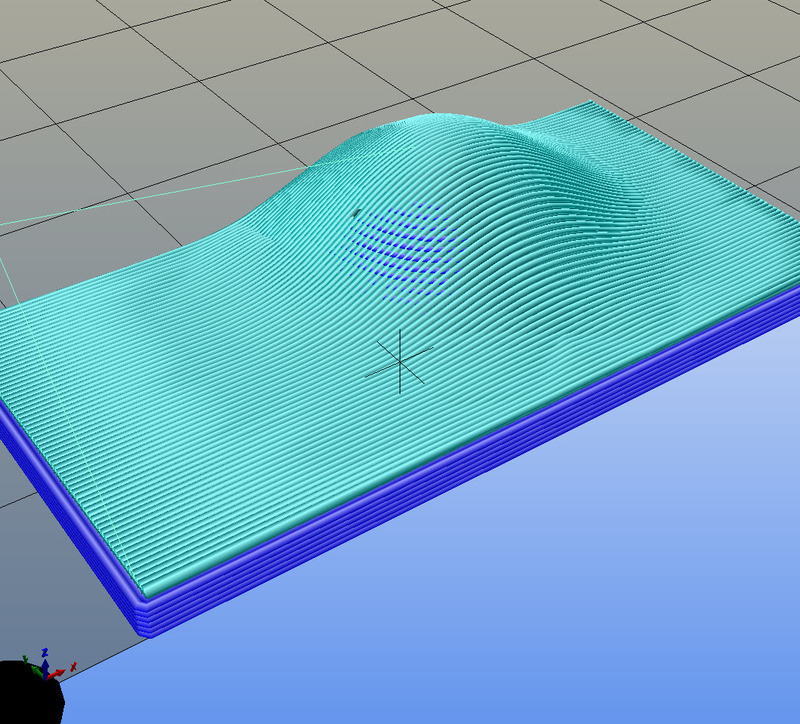 So I wondered how difficult it was to print a skin for slow sloping surfaces with a dynamical Z and X axis, and the Y ax behaving as “staged slices”. I made a simple model in ArchiCad with two meshes: one as base to be sliced in Z direction and one as skin, offsetted curved slab of 0.5mm. I sliced the two meshes seperately. The skin is generated in KS with 30mm/s for all axis, and both 0.3mm pathwidth as 0.3mm layer height, as a normal 0.4mm pathwidth would result in a layer height of 0.4mm, what is to much for my printer. 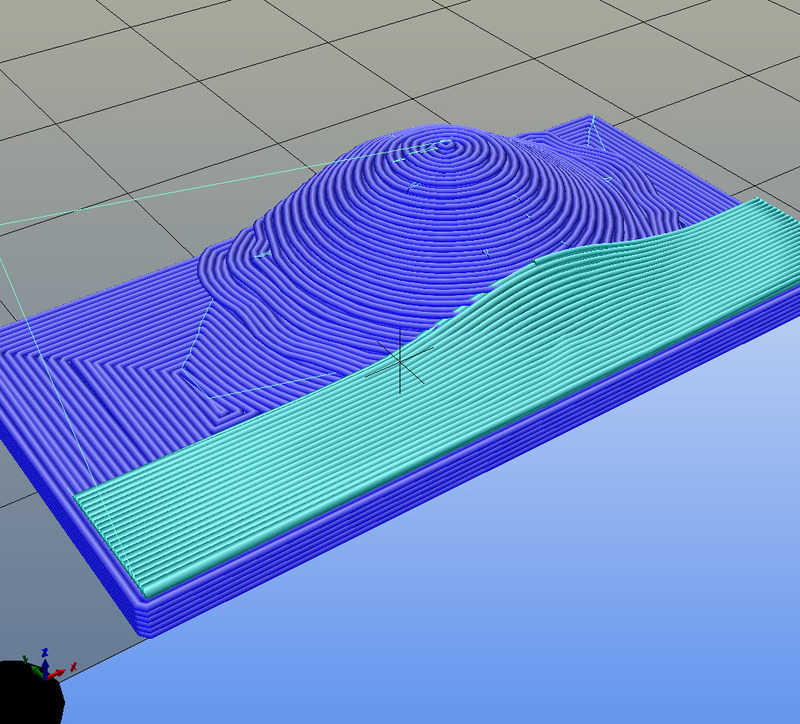 The Gcode output of the skin is edited to exchange Y by Z, and Z by Y.
It’s a tiny object, but the result for slow slopes is smoother than a normal sliced 0.1mm Z resolution. I can put a short video on youtube to see the dynamic Z axis working if someone is interested. 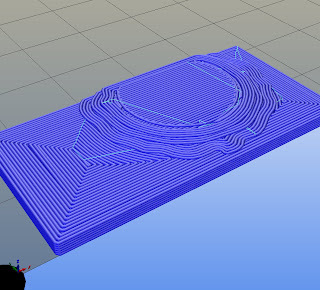 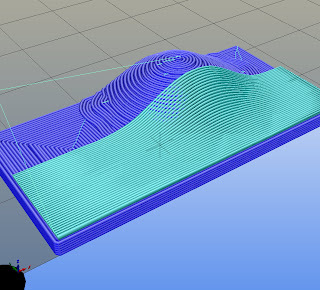 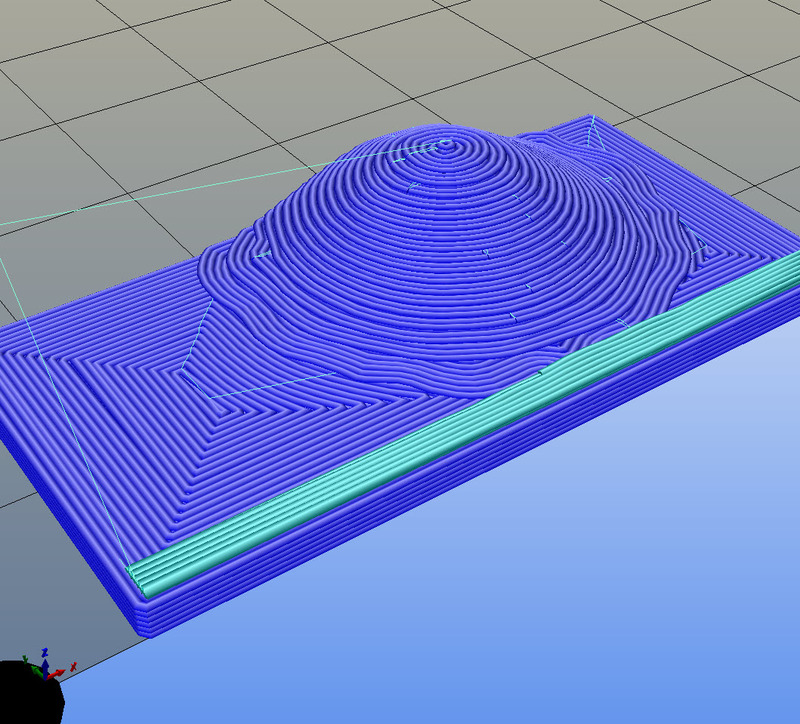 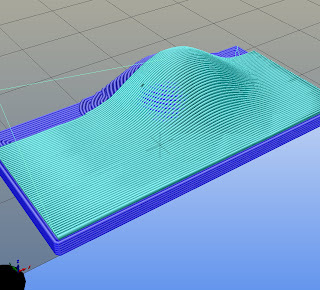 I realize that -as sequential printing- there are limits in Z direction to do this, depending how small your extruder / space around it is, but I can imagine that an option to slice specific meshes in Y direction for the (one or two) top surfaces will result in a smoother 3Dprint.